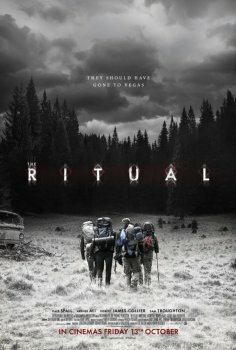 The Ritual - Available as a download or stream? "The Ritual" is the debut feature-length film from acclaimed American director David Bruckner, which will receive a theatrical release on October 13th, 2017. The film follows four men who go hiking in the woods of Scandanavia, when they stumble upon an abandoned cabin.